KIEV, Ukraine -- Carlsberg Ukraine, the largest beer and beverage producer in Ukraine, in May will start bottling Carlsberg alcohol-free beer to sell it at stadiums during the hosting of the Euro 2012 European football championship, the company's press service has reported. "Under the UEFA rules, alcoholic drink sales at stadiums during matches are banned, so we're launching production of Carlsberg alcohol-free beer," reads the release, citing Vice President for Marketing at Carlsberg Ukraine, Yaroslav Koval. The press service said that expected sales of Carlsberg alcohol-free beer during the tournament will reach 15,000 decaliters. The alcohol-free beer will be bottled at Kiev brewery. The company said that Carlsberg alcohol-free beer would not be sold in retail chains. The press service said that Carlsberg as an official sponsor of Euro 2012 is the only company, that has the right to sell beer and kvas at Ukrainian stadiums during matches. 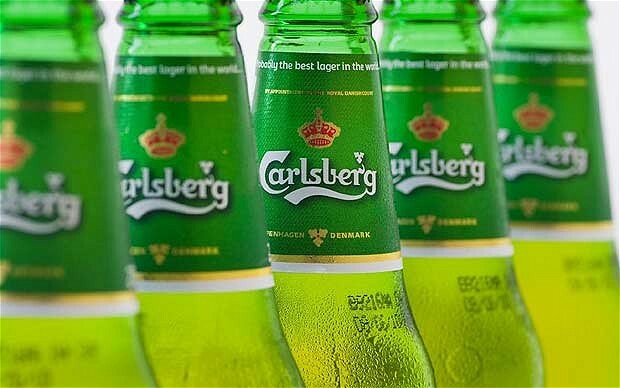 As reported, Carlsberg Group, the largest beer producer in Northern and Eastern Europe and the fourth beer producer in the world, owns Carlsberg Ukraine. Carlsberg in Ukraine unites the Slavutich brewery in Zaporizhia, Kiev Slavutich brewery and Lvivska Pyvovarnia (Lviv Brewery). The company said that in 2011 Carlsberg Ukraine was second on the Ukrainian beer market. According to ACNielsen, the company's market share in volumes came to 28.8%.